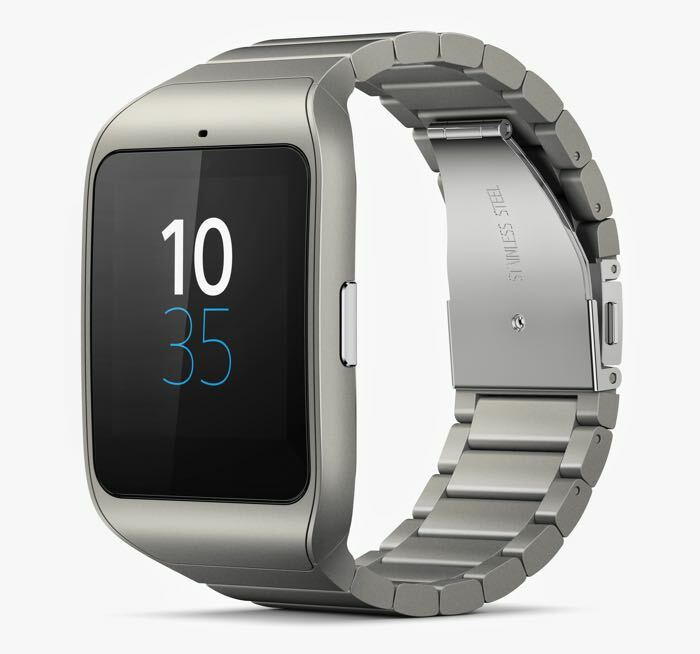 At CES earlier this month we saw the new stainless steel Sony SmartWatch 3, and now the device has gone up for pre-order in Europe. 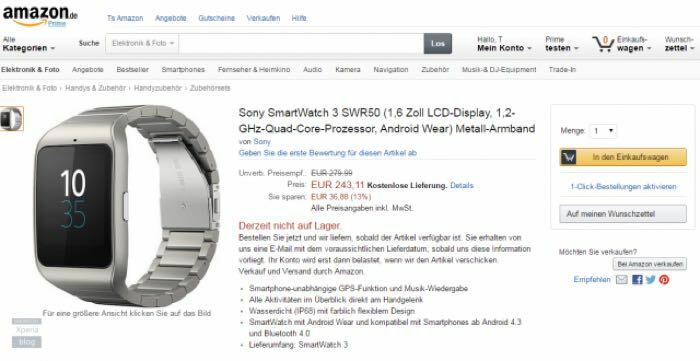 The Stainless Steel Sony SmartWatch 3 has turned up on Amazon Germany with a price tag of €243, no exact launch date for the device has been given. As a reminder, the device features the same hardware are the original SmartWatch 3, which includes a 1.6 inch display that has a resolution of 320 x 320 pixels, and the devices is powered by a quad core 1.2GHz processor. The device also comes with 512MB of RAM and 4GB of included storage, plus a 420 mAh battery, it runs Google’s Android Wear and an IP68 certification.